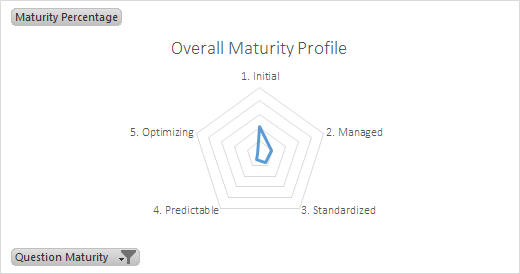 Blog | BizTalk Maturity Assessment | Are you struggling to implement successful BizTalk solutions? Recently a few people have asked me about the differences between the BizTalk Health Check and the BizTalk Maturity Assessment so I thought I’d put a few thoughts out here. Firstly let’s start with what the BizTalk Health Assessment is. A health check is often focused on the customer’s production environment but sometimes they will also cover test environments. In addition to the BizTalk Health Check’s which most consultancies offer, Tord Glad Nordhal who is one of the most respected BizTalk Admin/Infrastructure consultants in the community has also produced a BizTalk Health Check which has been made publically available. This health check pulls together his years of experience in this space and then made it available to BizTalk people and companies who use BizTalk so that they can access this information themselves. The aim is to get customers to setup BizTalk successfully and to maintain a healthy BizTalk environment. I’m a big fan of Tord’s work and love the health check! Recently Mulesoft published a case study about a customer who had implemented a solution with BizTalk Server but were having lots of problems with it. After a while they engaged with some vendors and decided to move their entire solution over to the Mulesoft platform. Its not an uncommon problem generally in the IT industry where a company has problems and the software must be to blame. Well if you read the case study its pretty blatant that the software must have been badly implemented but there is also some dubious organisational aspects to the case study which really stick out even though the case study only goes into a limited amount of detail. The net result of this customer scenario is they have probably spent ££££+ on implementing BizTalk in the first place, then ££££+ more implementing the same solution in Mulesoft. The net result is they will probably still have problems with the solution but maybe just slightly different. The great thing about the maturity assessment is that it can help you to workout where you are now. Theres lots of lower level views of your maturity to see if your problems are in development, infrastructure, operations, analysis. It covers the whole range of areas around integration projects with BizTalk. Which ever choice the customer took I suspect they would learn a lot about their own ways of working which would help them do a better implementation on which ever technology platform they use. If you would like to see an example of how we have worked through similar problems with other customers in the past check out the Case Studies or Introduction Video.